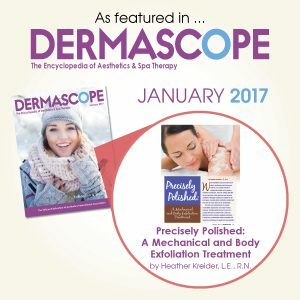 As seen in DERMASCOPE Magazine, January 2017 issue. Exfoliation, while it may seem like a “fluff” step in professional and at-home skin care routines, it’s actually critical for optimal skin health and a glowing, refreshed complexion. There is nothing quite like the look and feel of skin that has been recently exfoliated. If ever there was instant gratification in skincare routines, exfoliation would take first prize. But is exfoliation suitable for all skin types? Indeed, it is, but choosing which exfoliation method will work best for each client can be challenging. Read more. Don’t Be Cruel…Give (And Get) Something Extra Special This Season!